Trinity Christian Academy is private, college-preparatory Christian school. We offer grades preschool through 12th grade. Founded in 1993, our mission is to help each student fulfill God's purpose for his/her life and reach maximum potential in a joint effort between school, student, family, and church. We are dedicated to developing excellence in education, character, and servant leadership through a Christ-centered Biblical perspective. Our early childhood and elementary programs provide a firm academic and spiritual foundation, and our middle and high school programs are designed to prepare young men and women for college admissions and success on the university level. TCA has a strong athletics program with over 20 teams from elementary to secondary. Our Creative Arts Department includes choir, drum line, creative writing, art, yearbook, drama and each year our school produces and performs a spring musical. Our students are loved and known as individuals, and each is challenged and equipped academically, athletically and artistically within our close-knit, Christ-centered community. Located in East Parker County, TCA is easy to access via I-20 in Willow Park. 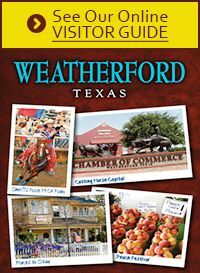 Weatherford Christian School was founded in 2001 and is a non-denominational, Christ-centered, educational facility enrolling students in Pre-K through the 12th grade. Emphasizing personal development, WCS strives to provide an education of high academic quality and motivates each student to perform at his or her maximum potential. WCS is Dually-Accredited by AdvancED and National Christian School Association (NCSA). We are also recognized by the Texas Education Association (TEA). Our lower campus will be joining our main campus located at 2300 Ranger Hwy for the Fall 2019. The main campus will serve our PreK through 12th grade. Please contact Tracy Garvin, our Director of Admissions, if you are interested in starting your child's educational journey with us. We offer Campus Tours daily!! Call today 817-341-0000 ext 339 or email tracy.garvin@wcslions.org.